Luckily for me, Nyogen Roshi keeps repeating the same thing over and over again. (I’m beginning to realize that’s what teachers do.) 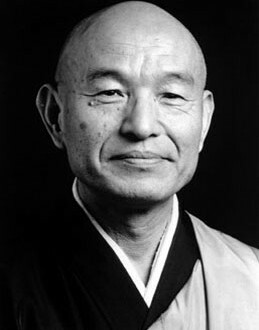 In nearly every one of his weekly dharma talks he ends up reciting a set of instructions given to him by his teacher Maezumi Roshi in the early days of his training. Wisdom teachings are fascinating things. They may not appear to be special. They are never complicated. They can sound so ordinary that we don’t even hear them or grant them consideration. But like seeds, they burrow into us and one day surface in full bloom. Only then are we ready to appreciate them. Here are Maezumi’s Three Admonitions, which you’re not likely to find elsewhere. 1. Don’t deceive yourself. In the Ten Grave Precepts we vow to “refrain from lying” and yet in the early stages of our practice we might interpret this admonition dualistically to mean not lying to others. In truth, every time we lie we lie to ourselves, and we’re the only one we consistently fool! Others are seldom conned by us for as long as we con ourselves. At its most profound level, my greatest self-deceit is the deceit of self, with all my ego-reinforcing views. In daily life, this teaching reminds me that unless I practice consistently and devotedly on a cushion, I cannot practice at the kitchen sink. Without practice, my views devolve into either self-congratulation or self-criticism, and both are deceptions. Practice starts with me. 2. Don’t make excuses for yourself. The list of all the people and things I can, and do, blame is endless. Don’t get me started! Blaming external, or even internal, conditions for what I do or don’t do is dualistic. As long as I’m casting blame elsewhere, I am reinforcing my own wrong-headed view as separate. Taking this teaching at its most profound level, I must begin to see that any excuse for myself is a self-deception. The power to change is only mine. The power to practice is only mine. Waking up is up to me. The responsibility for my life begins and ends with me, and only when I stop excusing myself does my life benefit everyone and everything. 3. Take responsibility for yourself. If you’re like me, you might imagine yourself to be the most responsible human being on the planet! But that’s not responsible enough. To take complete responsibility for yourself is to no longer deceive yourself, no longer make excuses for yourself, and thereby serve the entire world by waking up. At its most profound level, taking responsibility for yourself means taking responsibility for everything. In these three little instructions we thus find both the seed and the fruit of continuous practice.